Focus Home Interactive and Giants Software has released the debut gameplay trailer for Farming Simulator 19, this year’s iteration of the popular, well, farm sim. The trailer focuses on crop harvesting, and the various lovingly-rendered vehicles involved in the process. Speaking of vehicles, Farming Simulator 19 features over 300 vehicles and equipment, from real-life brands such as New Holland, Case IH, Challenger, Fendt, Massey Ferguson, Valtra, Krone, Deutz-Fahr, and the series debut of the ubiquitous John Deere. 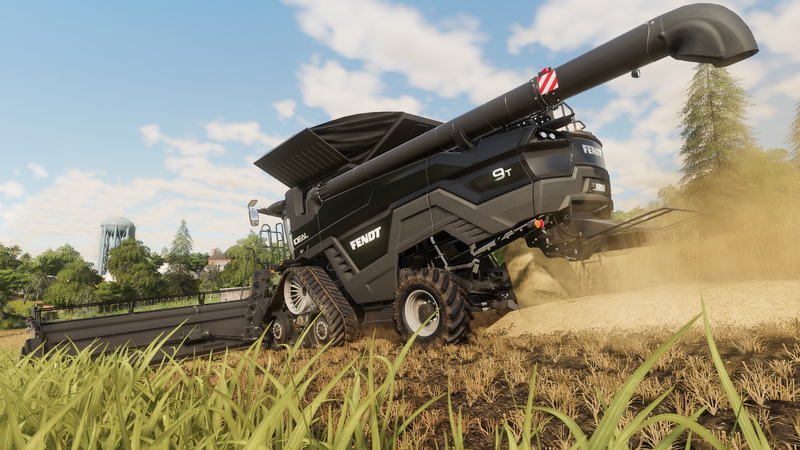 When Farming Simulator 19 launches, the game will boast two brand new American and European environments, which will contain new farm activities. New crops to this year’s game are cotton and oats, and the ability to raise and ride horses around the environments is also a new feature. Farming Simulator 19 is set to launch on November 20, 2018 for the PlayStation 4, the Xbox One, and the PC.